Jessie Cooper has been a volleyball player, coach, and writer since 1999. She played at the collegiate and professional levels, and represented the US internationally. There's an old adage that says, “You can’t teach height.” While volleyball is not a sport that’s exclusively reserved for those with exceptionally long inseams, it does seem to help to be on the taller end of the spectrum. So who are the biggest of the big dawgs? Below is a bit more about the tallest men and women in the sport. 1. Russian pro Dmitriy Muserskiy stands a towering 7’2” (or 218cm), leading the men’s side. Muserskiy has been playing the sport since the age of eight, so with twenty year experience under his belt he's considered the top volleyball player in the world at present. Since winning the 2012 Olympics, Muserskiy led Russia to win the 2013 European Championship, 2013 World League and a silver medal at the 2013 World Grand Champions Cup. Professionally, he and his Russian club team, Belgorod, have won the 2013/2014 CEV Champions League and most recently the 2014 Club World Champs. Muserskiy is Ukrainian by birth, but obtained his Russian citizenship in 2006. Muserskiy is also a cooking enthusiast and enjoys spending time in the kitchen. He is married to Inna Muserskaya and in early 2014 they welcomed a son. 2. 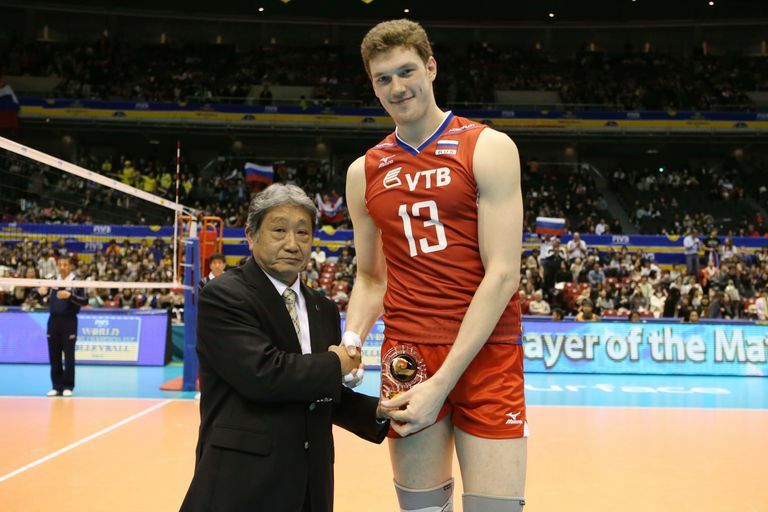 A veteran of the word tour, Aleksey Valerevich Kazakov is another extremely tall Russian volleyball player. Measuring a smidge shorter than his national teammate Muserskiy, Valerevich measures 7’1” (217cm). At 39 years old, he’s been competing on the world stage for almost 20 years. 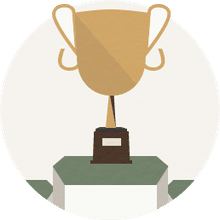 His first Olympics were the 1996 summer games in Atlanta and since then he’s won one silver medal at the 2000 Summer Games in Sydney and a bronze medal at the 2004 Summer Olympics in Athens. He was born in Naberezhnye Chelny, Tatar Autonomous Soviet Socialist Republic. His favorite genres of books are detective novels and he’s an avid fan of the NBA. 3. Coming in third place on the men’s side is opposite hitter Kay van Dijk at 7’ (215cm). Van Dijk started playing the game at 5 years old and hasn't stopped since. He’s also built up quite an impressive resume, which includes the Dutch men’s national team from 2003 - 2013, a participant of the Olympic Games Athens 2004, a silver medalist of the European League 2008, Belgium Champion (2008), Slovenian Champion (2011). T-1. At 202 cm, Russians pro Yekaterina Gamova has been in the game the longest. Coming from a relatively tall lineage of women, Gamova’s mother was 5’8” and aunt (from whom she learned the game of volleyball) was 5’10”. Originally hailing from Chelyabinsk, Russia , she was a member of the national team that won the gold medals at the 2006 and 2010 FIVB Women's World Championships , and the silver medal in both the Athens 2004 and Sydney 2000 Olympic Games. Gamova wear a size 16 shoe and cites collecting gift magnets as one of her favorite hobbies. In 2012 she married cinematographer Mikhail Mukasey. ​T-1.​ Also measuring in at 6’8” (202cm), Yulia Merkulova is a teammate of Gamova and another Russian volleyball player. She currently is a member of the Russian National team, as well as playing with club at Dinamo Krasnodar. Expect to see her at the Summer Games in Rio 2016. Merulova tends to snack on berries and prefers watching comedies. ​T-1.​ Italian middle blocker Floriana Bertone is also part of the 6’8 club. At 23 years old, she’s already an incredibly accomplished volleyball player taking gold at the 2010 Junior European Championship, 2011 Junior World Championships and the 2013 Mediterranean Games. She’s played for a number of elite Italian club teams, most notably Volleyball Casalmaggiore, Cl​ub Italy, Riviera S. Casciano and LJ Volley of Modena . ​T-1.​ The youngest player on this list is 22 year old Italian Valentina Diouf. A native of Milan, Diouf plays opposite on the Italian National team, as well as with the club Unendo Yamamay Busto Arsizio. She’s won gold medal at the Mediterranean Games in 2013, as well as competed with her national team at the 2014 World Championship. Diouf cites her favorite book as “il gioco dell'angelo” (The Angel’s Game by Carlos Ruiz Zafón).